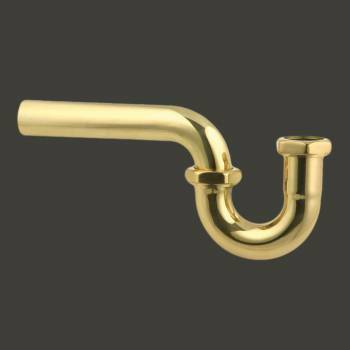 Solid brass construction that lasts. Fits all of our sinks and faucets. P-Traps: Standard 1 1/4 inch p-trap fits allRenovator's Supply's lavatory sink faucets. Projects 10 1/2 inches with connection washer joint.